If you are thinking about getting your kitchen refurbished and you can't quite find the style that you like then perhaps we can help. Our team of tradesmen have over 25 years experience in the building industry. They are more than happy to help you create a space that is perfectly suited to you and your family. Our team is known all around the Northamptonshire area for being one of the hardest working teams around. They are dedicated to ensuring that all the work they complete is of the highest standards possible and that it will look great for many years to come. With our help you can truly make your mark on your house. 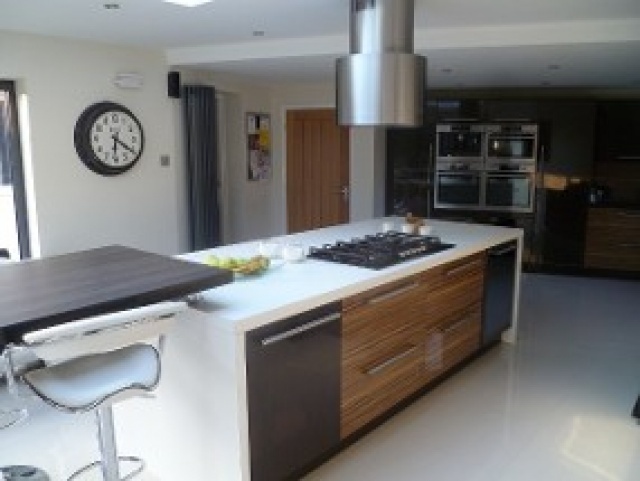 One of our specialities is combining practicality and style into one great looking kitchen. We can add all of the features and design aspects into your kitchen to produce a bespoke design that all of your friends and family will love. Most importantly, it will be your design, so you will love cooking in it! We have many different services that our team can provide you with to help make your kitchen a great space. These services include; flooring, plastering, decorating, electrical work and of course carpentry. We can be with you from the first design stage until the project is completed. If you would like to begin the process of getting your kitchen renovated then please do get in touch. We will be happy to help in any way we can and look forward to helping you create your perfect space.